**Dress received for consideration. All thoughts are my own. My daughter loves dressing up. She loves sparkles, she loves tulle, she loves anything that glitters and shines. She loves being a princess! Last month, I shared about our love for Just Pretend Kids for Halloween. And even though Halloween has now come and gone, my Finley is still loving playing mermaid princess. Through wear and wear, her beautiful mermaid dress has remained just as beautiful. 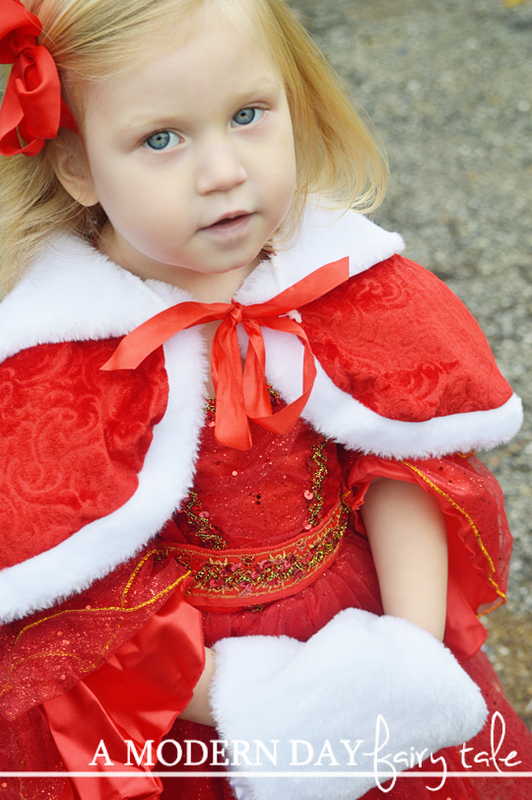 Our Holiday Princess Dress is the perfect choice for every royal winter affair! 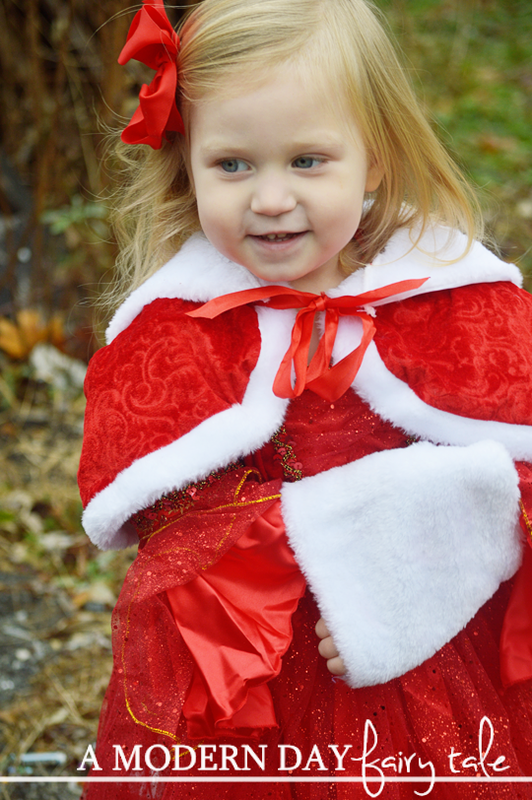 The red and white dress comes complete with a beautiful matching belt, cape and muff for colder weather. To really top off the dress, consider adding one of our hoop skirts. Please start by selecting a size and then choose whether or not you would like to include the hoop. As much as we have loved previous dresses and tutus, this one certainly took the cake! It was perfect for the holidays--- festive and gorgeous! Perfect for every princess! The quality was of course astounding and the details even moreso. 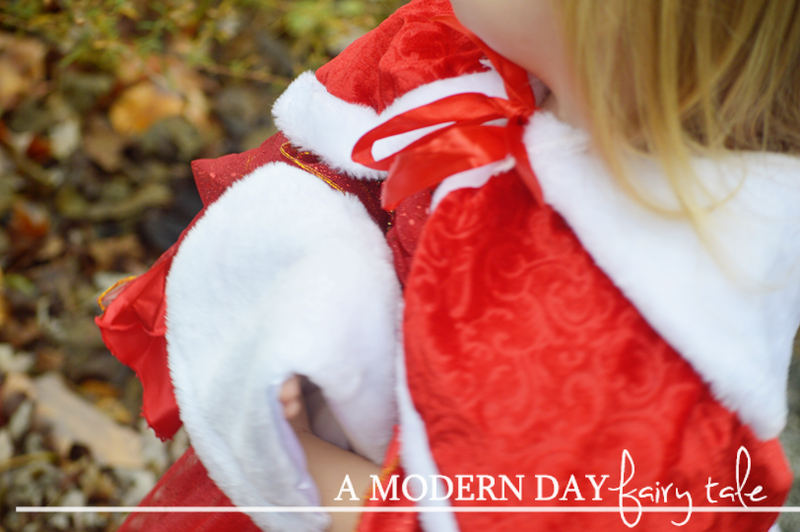 I could not help but fall in love with the cape... so perfect for Christmas! This truly is the perfect dress for all of our holiday festivities. No need for a fancy Christmas dress? 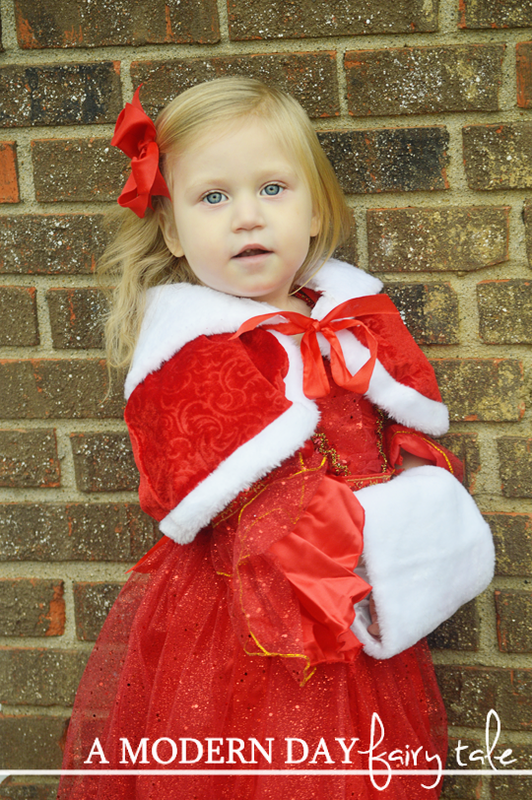 These stunning dress up clothes are perfect for Christmas gifts too! They are not your typical dress up clothes that tend to be ill fitting and flimsy. They are high quality, fully detailed gowns that truly do make every little girl feel like a REAL princess. 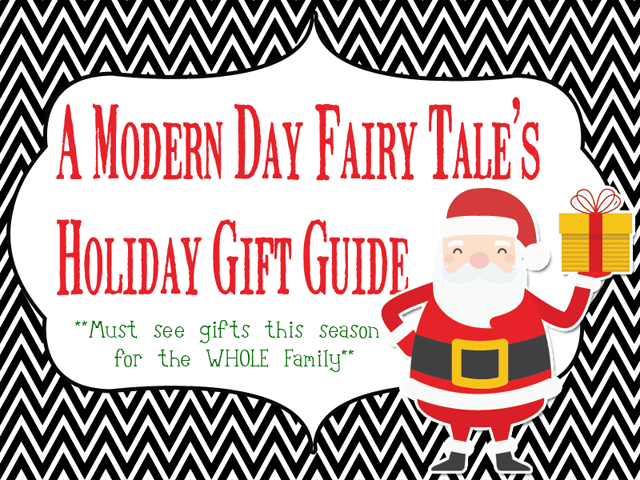 Every girl who loves dressing up would love to find a package from Just Pretend Kids under the tree! And right now, you can make that happen at a GREAT price! For Black Friday, every dress is 50% off!! Amazing! 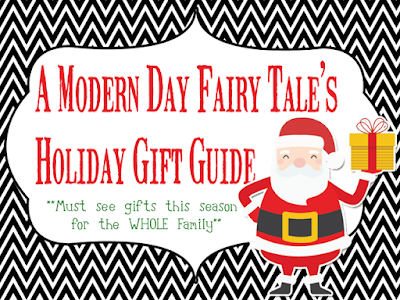 Whether you're looking for a holiday party dress or the perfect gift for your little princess- check out Just Pretend Kids to find what you're looking for. Which dress from Just Pretend Kids would YOUR little princess love to find under the tree? Omgosh how adorable is she!! That dress is just perfect on her!